Thank you for your distilled wisdom which I will carefully consider. 1. I built my rotor based system using a battery swapper so the primary drive and charging batteries would be rotated every minute or so. I had reason to believe that once the ZPE had entered the battery it became 'regular' electricity and so was ok to supply the system. Whilst that method may not be the most efficient it works and does not require another power supply to get involved. Running the generator at 36V maybe more effective but the timer and decade counters work at lower voltages (max 15V), hence my need for the Buck converter. I take the point though. 2. Ok. However it's too late for three of my six batteries as I put them straight to work being charged with ZPE. I might try and do some comparisons. 3. If my fully charged batteries are reading 15.8V (and gassing) maybe I should limit the voltage they reach to 14.8V with a Zenner Diode or other voltage regulator (or 44.4V if charging a bank of three batteries in series)? Doesn't Peter Lindemann recommend charging batteries up to about 15.8 (Point P in the attached) and say that all regular chargers are short changing us? Maybe that is for open wet batteries and not the gel type I am using? Thanks for the Google reference. Setup Frequency: I understand the principle of what you are saying but am not sure how to adjust the coil saturation. Presumably adjusting the frequency is the main way. Would adjusting the duty cycle of the feeds to the FET gates, which is currently about 50%, make any difference? Coil Sequence: I was concerned that the circuit current at 12V with 0.28 Ohms would be too high and burn out something (probably me!). Revising the circuit based on your suggestions is possible but a significant undertaking at this moment. What my system may lack in radiant spike voltage (they are around 500V) due to the sequential coil firing arrangement is probably more than made up for by the high and variable frequency rate. "Less bang per spike but more spikes per second"
This has always been a difficult one to explain and not something I fully understand either. My best explanation is that you can't run a pulsed DC system from a source that has been charged with pulsed DC. John explained early on that, yes, it will "run" however over time your results will diminish. The options for "converting the energy" are a capacitor discharge system or linear amplifier regulator. That's OK, but you just need to be aware most LA batteries don't leave the factory with the plates fully formed and that charging them with "ZPE" will not form the plates like a normal DC current charger will. It's not too late, you can always give your ZPE batteries a few cycles on a DC current charger to fully form them. I'd suggest just not charging them over 14.8V. If you charged them in parallel instead of series they're more likely to take the amount of charging power you're throwing at them too. Here's a website I found that might help: http://www.vk2zay.net/article/200 The important part is the scope shots which are showing the current applied to the coil relative to coil saturation. As you'll read on that page, you can gauge when the coil is saturated by the "knee" in the current curve. (You'll need either a current probe, or use a shunt resistor and measure the voltage drop over the resistor to measure yours). Once you've figured how long it takes to saturate the coil, discharge the coil and also buffer in a little bit of dead time you can then adjust the frequency and duty cycle to suit. here's a good picture that simulates a coil (core) in saturation. For a Bedini SG, where we want to maximise the "ZPE" I'd suggest adjusting the pulse width for the blue line - "Max pulsewidth"
I have often thought of using a capacitive discharge system and when I first set out to build the rotor based system at the start of this year, ideally I wanted to have no batteries and run the device and feed an output on caps and super caps. I soon learnt that it was not going to be straightforward and that a battery seems almost an essential requirement in the system to drawn in ZPE. I have heard conflicting ideas about the value of capacitors in the output chain in that, while they quickly convert ZPE to 'hot' electricity, that energy is quickly gobbled up by a load whereas when powering a load with a battery that is assimilating ZPE, the radiant energy charges the battery but also can contribute directly to the load in ways that regular current flow can't. I need to learn more about that side of things and it will make a fascinating branch to my explorations in the future. By cycle you mean getting the battery voltage down again (to say 11.8V) by running a load and then recharging? I hear what you say about not charging over 14.8V but at the moment I have no control over what the charging battery voltage settles at. In part it seems to depend on the state of charge of the battery but, should I need to set a limit on the charging voltage then I was proposing a voltage limiter or regulator. In practice I doubt there will be an issue since, once a load is being run, then the battery will need recharging and, in the battery swapping interval of say 3 mins, is not going to be in the fully charged state for long before using its stored energy for the load again. When I start practical load tests then I can observe what happens and react accordingly. That's very helpful as I was trying to get my head around what's actually going on. I took your suggestion of running at 200Hz and attach the resulting HV pulses. I am using a 9:1 voltage divider to measure these spikes directly on the scope. They have a nice clear differentiation whereas at, for example, 4kHz the pulses look very different. As I suggested earlier, the inducement of ZPE into the system seems to be a function of both peak voltage and rate of change of voltage indicated by the leading edge rise time. At 200Hz the max voltage is 60V (540V) and reduces somewhat at the higher frequencies. I can imagine that there might be resonant frequencies or harmonics that might show as pulse voltages similar to or greater than at 200Hz and, with my square wave generator module in place, I can increase the frequency in small increments to find any. Re your 'saturation image' I will explore measuring the current in the coils to determine the optimum duty cycle. Of course the whole point of this solid state system is to be able to ramp up the frequency of pulses to provide for increased output power and therefore, apart from any 'sweet' spots at resonant frequencies, my main tool for the coil saturation will be the duty cycle. Again, the PWM module (attached) allows for that to be easily adjusted and at just under £6 off ebay is a very useful bit of kit. If it's ok with you, early in the new year I will hopefully be getting some inverter power output vs frequency readings and will share those for comment. I recognise that, as it stands, my system is not configured for the optimum ZPE per pulse but is using 'brute repetition' to achieve its goals. Last edited by JulesP; 11-30-2018 at 02:41 AM. Hi Jules, yes that PWM module is a good bit of kit. I just ordered something similar. Yes, that's what I meant about cycling the battery - charge, discharge, repeat. Here's a couple of scope shots of my solid state SG. CH2 is on the collector and emitter of one of the transistors. Peak discharge pulse voltage is 48.0V (spikes). In the second picture CH1 is the current probe on the wire going to the charge battery positive terminal. Again the scale is 1V=1A. Here you can see the peak current spike to the battery is 17.6A. So if the peak voltage spike is 48.80V then the battery is being hit with 858.88W pulses And it's doing that 265 times per second. By the way, I'm rejuvenating a 12V 100Ah deep cycle battery with this machine - so it needs a big coil! That very interesting and it sounds like you have a beefy setup there. Can you put up a couple of pics? I have attached some drawings to illustrate what I think you are doing, in the context of my seven coils, to get those measurements for coil input current and battery charging current. Please correct me if i am mistaken. Getting a 10 Ohm? shunt is more reasonable than buying an inductive current probe as I already have a scope. What you are measuring is presumably the regular current in both cases and therefore you are calculating conventional input and output power to and from the coils. The 858W pulses at 265Hz to the battery are peak short duration values and so the equivalent continuous power delivered to the battery will be a lot less. Is there a simple way to measure or calculate that value? Perhaps determining the heating effect on a resistor of some kind. 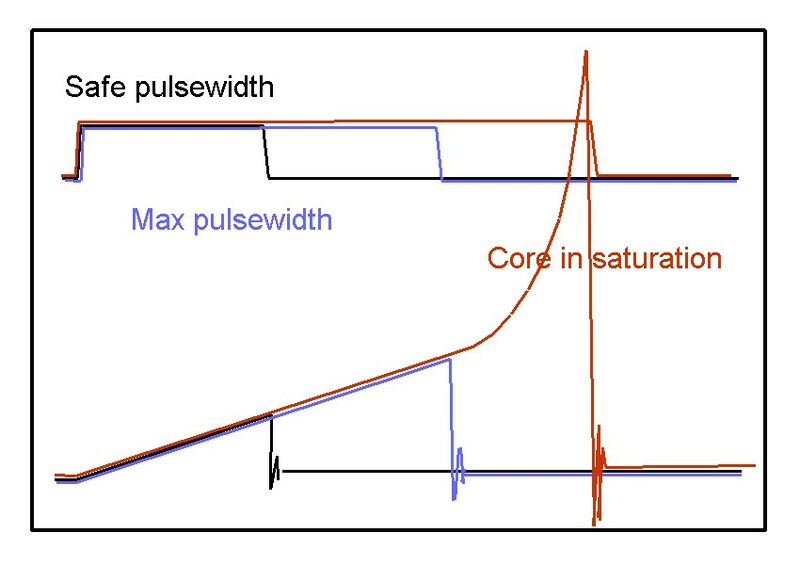 Integrating the area under each pulse curve would not be easy. Also of course the conventional figures gives no indication of the ZPE component that is also contributing to the battery charging and which is not really measurable. My planned approach to estimating the total energy delivered to the battery stack is to power a resistive load (such as a convector heater), from the inverter and via and SCR voltage regulator so that I can adjust it to a range of power levels using an inline power meter. Then I can see if the generator can sustain the battery stack voltage over a couple of hours. The power level at which the voltage starts to show a deficit at the end of a run indicates the maximum total output power for that current configuration of frequency etc. I haven't thought up another, and more elegant, way to determine the total output power of the system including both 'hot' and 'cold' energy components. On a related matter, I have come across the book entitled: "Quest for Zero Point Energy' by Moray B King which explores a wide range of issues in connection with Engineering the Vacuum. He describes a 'Bipolar Current Multiplier' as an effective way to convert voltage spikes to a useful form of power. What I eventually get onto that side of things that maybe worth exploring and I wondered if there was any connection between that and what you mentioned earlier - 'liner amplifier regulator'? Are you able to direct me to any books, articles etc looking at this side of things? I have the SG trilogy which discusses a capacitive discharge system but doesn't look at alternatives. A follow up thought to my comments on your coil output current measurements in the previous post. On a point of theory, given that normally the back emf pulse from a coil has a high voltage and almost no current, do your current measurements indicate that the conductor from the coil to the battery + terminal has already converted some or all of the ZPE to conventional current? Your measurement method looks sound, although I'd go for a 1 Ohm shunt resistor instead of 10 Ohms. For the theory side of it, I don't think my scope shots are really showing the whole picture. My conclusion is that the the HV spike has already hit the battery before the current spike shows up. If you look very closely at the scope shots you can see that when the transistor switches off the HV spike leads the current spike ever so slightly. I think that the current spike is actually killing the HV "radiant" spike. This is just my conclusion based on my observation. I think I might be drawing a pretty long bow in saying that there are 858W instantaneous spikes hitting the battery. I didn't post that to intentionally mislead anyone, but I'm not 100% confident that it's an accurate measurement. Sure, the battery is getting whacked with some decent energy, but I don't think anyone can really measure the "radiant" and conventional "hot" energy that's charging it. However, it's not something I lose a lot of sleep over. I'm really only interested in engineering for what I think might be maximizing the "radiant" energy side of it. Anyway, I didn't mean to hijack your thread with all of this. Just some things to think about. All your points of view and experience are useful in building a bigger picture for all interested parties to explore these perspectives. At some or other point these questions will arise in those who may also try and build their own versions of these devices. Thank you for your input. I don't know yet if I will need to measure the output current from the coils, whatever its energetic components, but I can see that it's a good way to get some objective measurements for comparisons while adjusting other variables such as frequency. This is especially so as trying to determine the energy inputted to a battery from its voltage is such an inaccurate and low resolution method. I've just received a copy of Tom Valone's book on Zero Point Energy so as to get a better grip on what is happening in and around the battery and conductors. Clearly a high voltage (electric field) gradient is a major means to engineer the vacuum and a lot easier than working at nanometer dimensions on Casimir Effect related technologies! PS When I have some figures for the change in battery voltages with varying HV pulse frequencies, I will share them here.